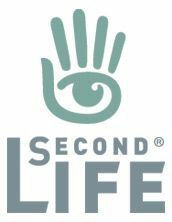 On November 6th, 2018, Linden Lab issued a statement on their stance on protecting the rights of creators producing content for use on the Second Life platform. It would seem the statement has been issued as a result over the ongoing debate around the use of UV Maps in mesh heads, following one designer issuing DMCA notices against a number of competing creators – although it is obviously intended to outline Linden Lab’s position on content protection and their process of handling matters as a whole. To this end, and rather than obfuscate with subjective commentary here, I’m including the entire text of the blog post below, for ease of reference. At Linden Lab we appreciate and support the creativity of our community – a community based on the very idea that the only limit to your creativity is your imagination. That is why we feel it is important to clarify our stance on and process for the protection of community-created content. Our goal is to nurture the overall creative and competitive ecosystem that enables each member of our community to prosper — even when that means making difficult determinations in disputes between our Creators. While we cannot comment publicly with a definitive analysis of any one case or dispute, we want to reassure our community that we closely consider all perspectives (and applicable law) before arriving at any dispute determination. When there is disagreement in our community over the integrity of a creation, we strive to be fair in our review of the facts. In particular, we do not take actions for or against any Creator lightly as we know that our Creator community is passionate about and protective of their work. So, why make this statement now? Due to the size of the Second Life economy and its user base, there will always be Creator conflicts and complaints under review. Recently, there’s been some debate about one of the more esoteric aspects of content creation, which impacts many in our community. For example, one high-profile complaint under review deals with a fundamental question about whether UV mapping can be considered proprietary and protect-able or part of the public domain. Linden Lab recognizes that there are passionate arguments to be made on both sides of this and similar discussions. However, the determining factors are quite nuanced and not easily assessed without a closer review of the facts in the context of the Digital Millennium Copyright Act (or DMCA). Ultimately, Linden Lab will always comply with the DMCA process, and continue to determine the validity of each DMCA notice (and any counter-notice) on a case-by-case basis. That is precisely why we have a team dedicated to reviewing all properly submitted IP claims and determining the fairest outcome within the guidelines of the policies and laws governing the process, which is described in the Intellectual Property Infringement Notification Policy. We are ever-amazed by the ways this community utilizes the Second Life platform for creativity. Keep innovating – you make Second Life even better as we roll out new features and tools to create with — and keep supporting your fellow Creators! I read it carefully 3 times. All the words are real, but it is completely devoid of meaning. Lewis Carroll would be proud! Exactly! All they are saying is that they will consider each case separately and make no overall rules.